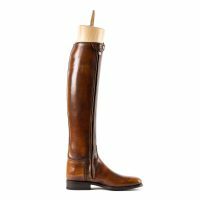 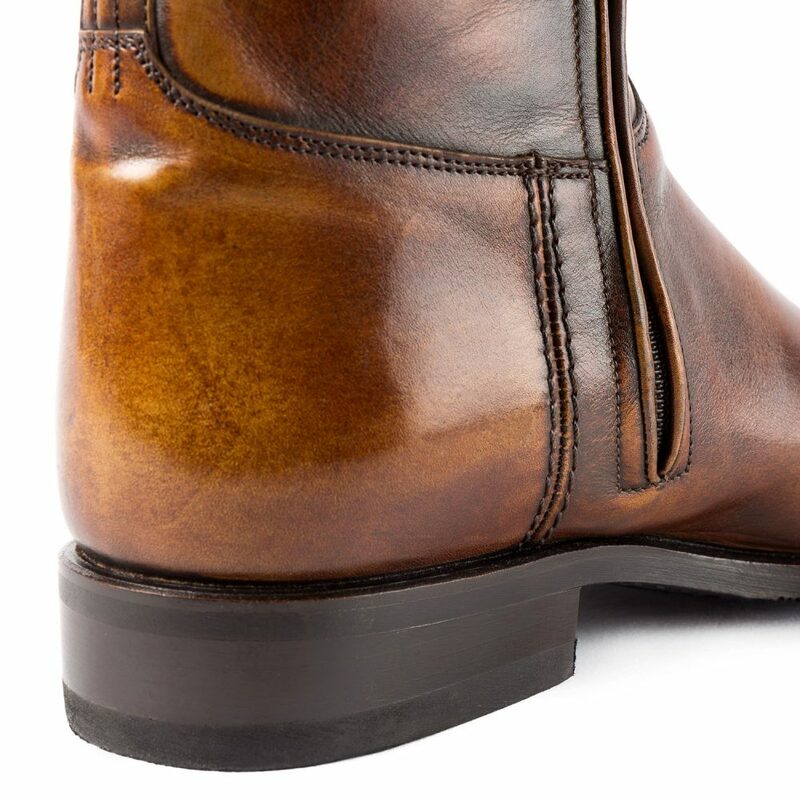 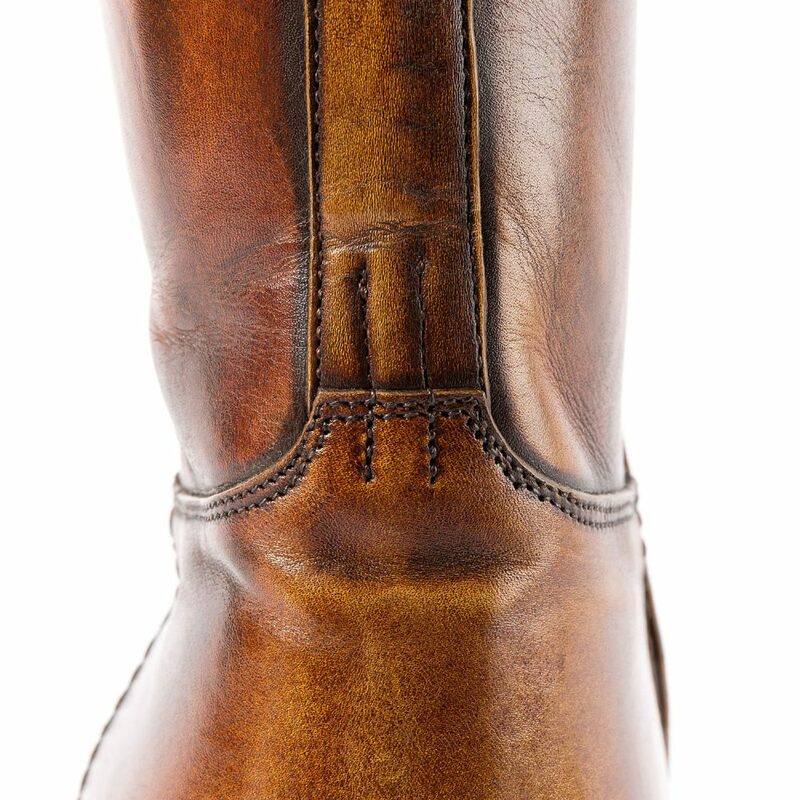 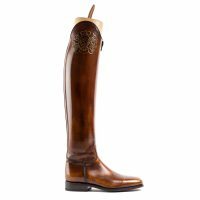 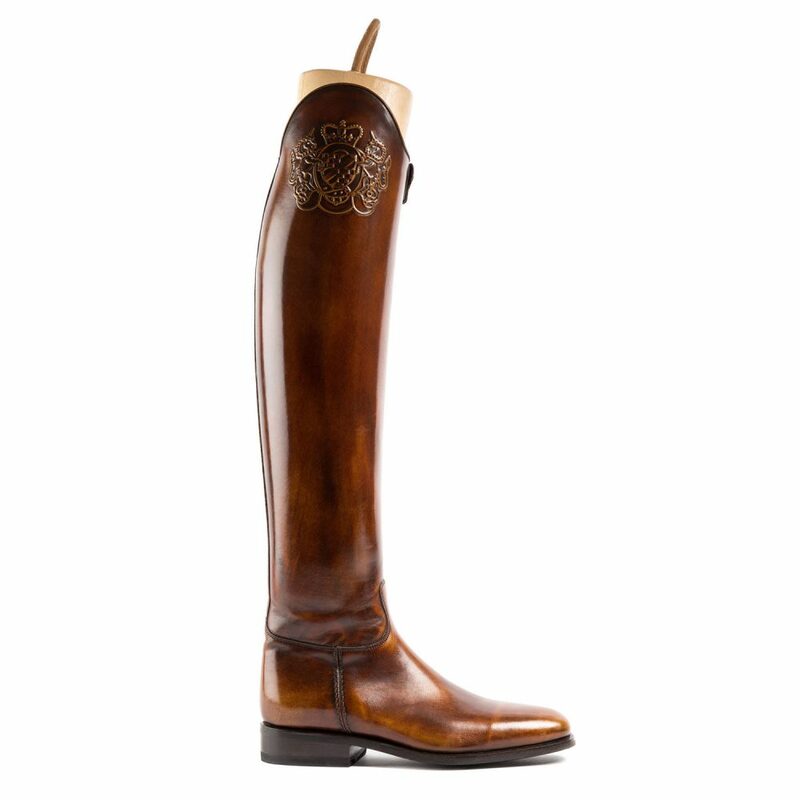 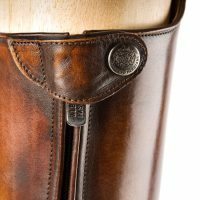 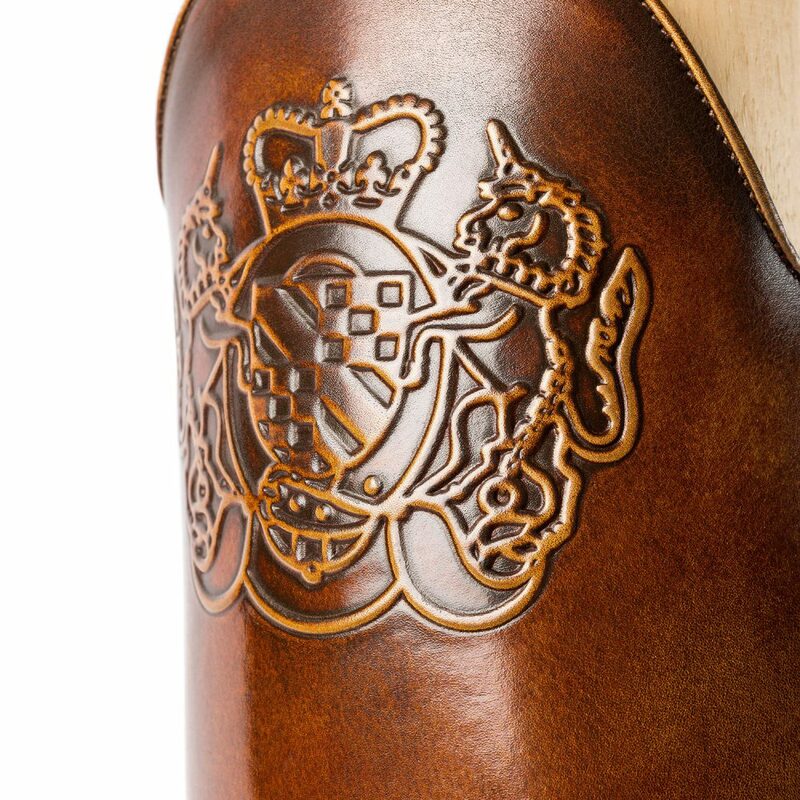 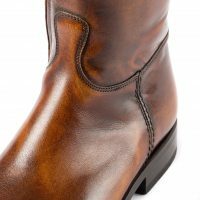 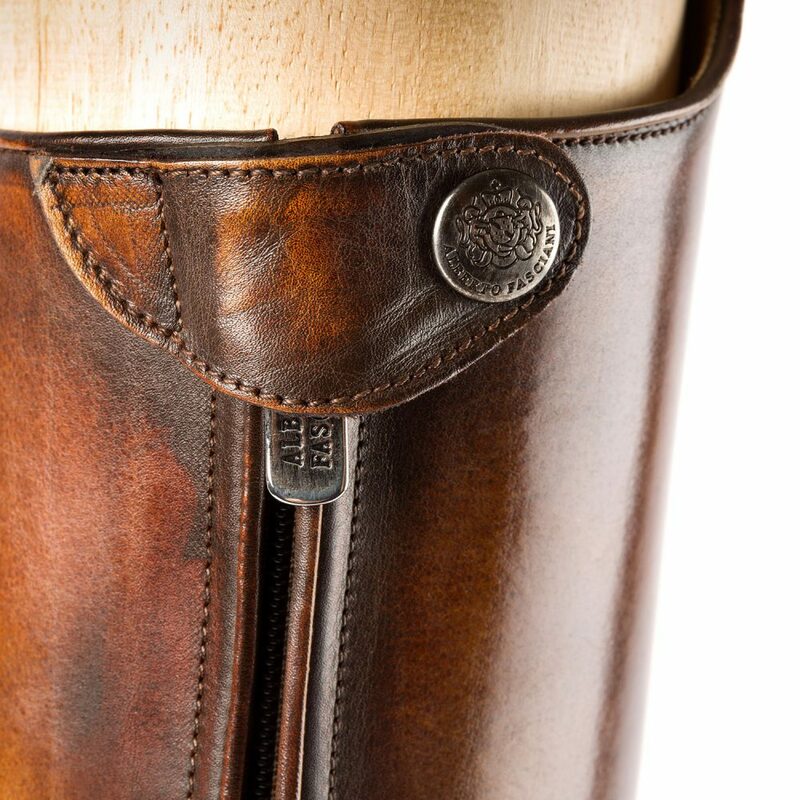 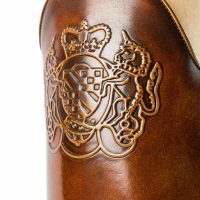 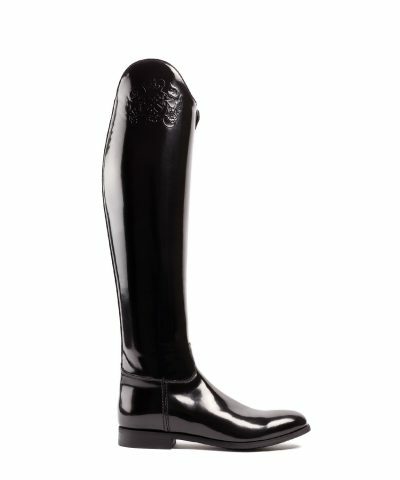 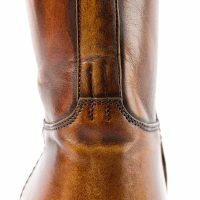 Dressage boots are made of brown calfskin leather. The inside shaft is made of a special stretch rubber textile which creates a close contact with the horse. 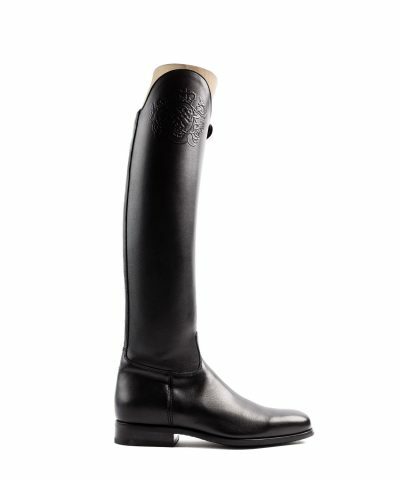 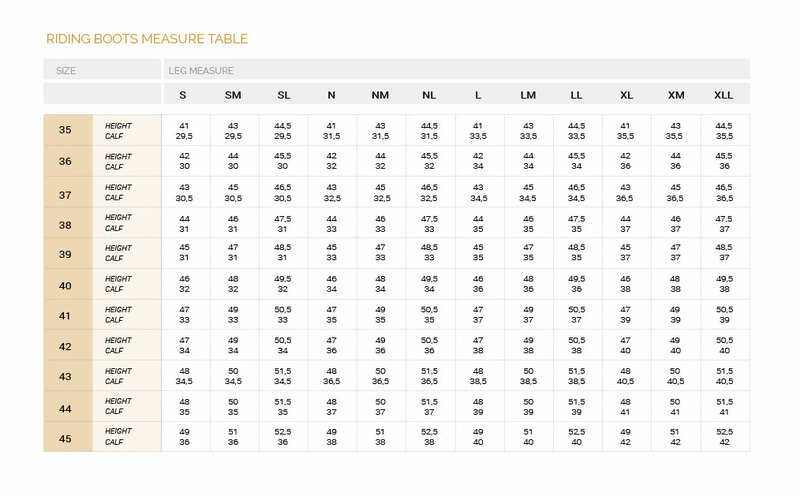 It also provides the rider with premium comfort and an exceptional fit. This article has a rubber sole.